Has it ever occurred to you how many different toxic chemicals you may come in contact with daily? From the pesticides in conventionally grown food to the synthetic ingredients in your makeup and lotions, each one is a drop in the bucket that makes up your toxic burden. Some people may be better at eliminating toxins than others, but a large amount of toxins in your body can cause you to feel sluggish and fatigued, have joint pain and weakness, or suffer from an autoimmune disease or other chronic illness. An effective way to reduce your body's toxic burden is through detoxification. 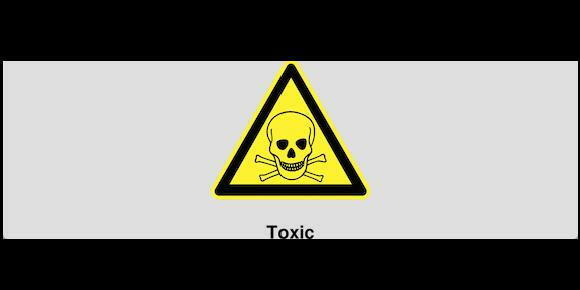 Toxins are stored throughout your body in a number of places: body fat, lymph nodes, blood and even your bones. Without mindfully detoxing your body, some toxins can stick around inside you for decades!! Thankfully, there are various steps you can take to lessen your body's toxic burden. Toxins in the form of food can come from pesticides sprayed on conventional crops or even your personal food allergies. Dietary intake of pesticides, in children especially, accounts for most pesticide exposure. Organic food actually reduces pesticide buildup in your body, and helps to cleanse you of toxic residue. Certain produce are less susceptible to pesticides than others, particularly those with thick skin that you don't eat. Conventional Avocados, citrus fruits and bananas may potentially contain less toxins than conventionally grown apples, tomatoes and strawberries. According to the EPA, the average person spends more than 90% of their time indoors. Considering that indoor levels of air pollutants can be 2-5 times higher than they are outside, filtering your air with a HEPA filter is one big change you could start right away. Also, spending more of your time outside can help to reduce your intake of toxins. Though some areas can have very polluted air, take the effort to go to a nearby park and surround yourself with trees or water, they give off oxygen. We absorb water internally as we drink it, but we also absorb water through our skin. In order to avoid potential heavy metals or other contaminants in water, I personally drink and shower in filtered water. In my home I use Aquasana whose filters are designed to remove heavy metals, chlorine, chloramines, pesticides, and herbicides. You can also get a water distiller for drinking water. A water distiller uses evaporation to separate the water from the toxins. Replacing some of your cleaning products and cookware with non-toxic versions is one great way to reduce your body’s toxic burden. Cleaning products can be filled with all kinds of harmful chemicals; just take a look at one of the labels on your cleaning products at home. The list of ingredients can often be unrecognizable for anyone who is not a scientist. The most harmful chemicals are the ones that you can't pronounce. Baking soda and vinegar mixed with lemon essential oil or even lemon peels makes for a great all purpose cleaner. On the contrary there are many safe brands on the market for all kinds of cleaning products. Do some research to find which brands you may like the best and which works for you. Try making one little change each day, week, or month. Your home will be toxin-free before you know it!